Do you have a travel blog? Do you write non-fiction pieces or articles as a freelancer for other travel websites? Do you have your own travel website that you have monetized? Do you just want to share your travel experiences with others in any way that you can? Whatever your purpose for writing about travel, you obviously want to gain readership and following. The problem is this: a lot of travel writing is mundane repetitive, and often boring. As a writer, you know that you have to be unique in your presentation, or your pieces will just not stand out in this competitive environment. 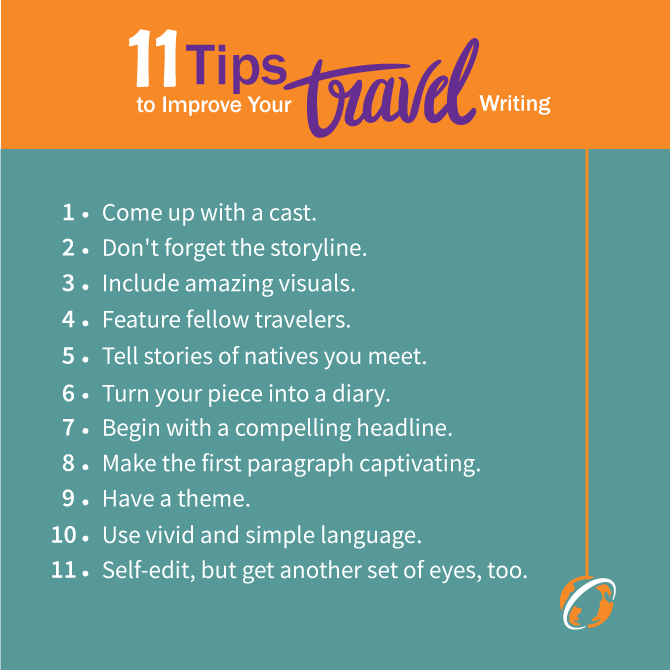 Here are eleven writing tips, some you may not have thought of and others a reminder of all the writing skills we all know, but may forget when we leave our homes and are lost in foreign lands. We’ve included tips for different types of travel writing, so you can bridge the gaps and remove the boundaries. Come up with a cast. Most fiction writing begins with a thought or memory of something personal. And for a primarily non-fiction writer, creating some fiction can be both fun and broadening. So, get yourself a major protagonist, add characters from among the people you met along the way, and craft a plot that will add humor, mystery/intrigue, or inspiration. People searching for a getaway may emotionally attach to shiny happy people without any problems. But for many people, 0ur strongest feelings of attachment are through commiserate pain. So, although you may feel you’re in heaven while away on an exotic island, don’t forget the evil in the world. Now, I know that sounds like a dark story, but it can still be a story of rebirth or mirth. The ‘bad stuff’ can be a series of fortunate accidents or on a serious note, what the traveler left behind–love that turned sour, work that didn’t pan out, or dreams unfulfilled. You are probably not a professional photographer, but even smartphones with great editing software can turn you into a pretty good one. Whether you are taking a shot of a crowded marketplace or a serene unpopulated landscape, be certain that you take several from all angles and camera heights. Then, let others help you choose which ones to include. Practice cropping and editing a lot – over time, you’ll get much better. Human interest photos are always good too. Anytime you can include locals in your photos, those photos become more interesting. Take the stance of a journalist, conducting interviews. Obviously, you will want to devise a list of questions that will become the basis for comparison of opinions. 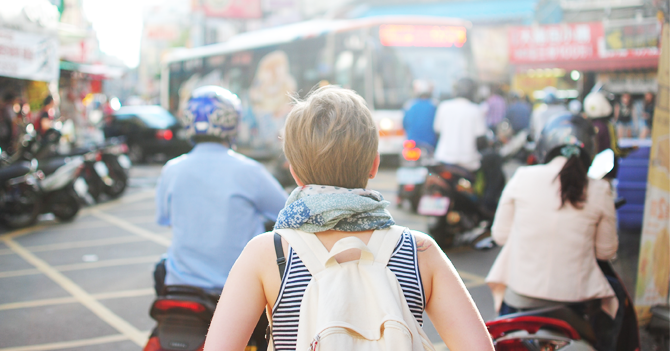 And if you interview travelers from other native places than your own, you will get a variety of perceptions about hotels, restaurants, shopping, tours, and the local populations. This can provide a more well-rounded review, as the observations and opinions will not be solely yours. Tell stories of natives you meet. Readers can get a good understanding of a travel destination when they see it through the eyes of natives. As well, there are great little tidbits of information that a traveler may not ever acquire on his own. Speaking to several natives of different backgrounds and then including those “interviews” in your larger travel piece may just provide the uniqueness that a magazine or blog will want. Turn your piece into a diary. Begin a trip with the goal of keeping a daily diary. Obviously, you will have some days that are far more experience-filled than others, but if your writing is engaging, you will be able to fill that diary with factual information as well as personal reflections on your experiences. A personal diary can provide great insights to readers. Begin with a compelling headline. Just as a newspaper reporter does not produce a boring headline, you must not either. Spend a lot of time playing with titles. You can even use some headline generator tools available online. Make the first paragraph captivating. You either hook a reader or lose him in that first paragraph. Begin with a startling fact or stat or a short humorous or inspirational anecdote. Like always the first paragraph is the last paragraph, we should write. When we were in school, all of our essays and papers had to have a thesis statement. Travel writing is no different. Your travel experiences are just a series of events unless you tie them together around a theme. The theme can be your readers’ take-home message. Use vivid and simple language. You are trying to create images in the readers’ minds. Of course, visual do this, but words must do that as well. It’s one thing to have a photo of a small shopkeeper in a market place. It’s quite another to describe the sounds, the smells, the overall ambiance. You do this through the words you choose. Think of your readers as seventh-grade students and write for them. Your goal is to inform and entertain, not to impress with your vocabulary. Readers are turned off by fustian soliloquies and words, the meaning of which they don’t know. At the same time, avoid trite expressions that are meaningless (e.g., bustling, stunning). Self-edit, but get another set of eyes, too. Eleven Easy Tips – You Can Do This. These tips are rather basic. Some you may already be incorporating; others may be new. But either way, reviewing these and making certain that your travel writing includes them will mean you publish more and better.